Got a feature idea? We'd love to hear from you! Every single feature we develop comes directly from customer requests. You're part of our development cycle, and you'll engage directly with our engineers when you propose a feature. We have started a pilot API that allows account actions to be performed via REST endpoints. Please let us know if this is useful to you! When adding a new site, by default Versionista will check for and incorporate canonical redirects, e.g., to an https URL. Our new Display Helper allows you to inject CSS rules into pages or differences that you view. We added a filter to ignore changes in upper case versus lower case. Versions can now be protected and unprotected from the comparison and version viewers. Our new visual selector (currently in beta) allows you to choose on-screen which elements of your pages to filter, and automatically generates CSS rules. We now have tutorials explaining how to configure email alerts and add new users to your account. Links are added to download individual versions from the page view and the viewer. There is now a "combined view" for individual folders—all pages on all sites in that folder. Instant alerts now list the categories for a page in the subject line (if they fit). 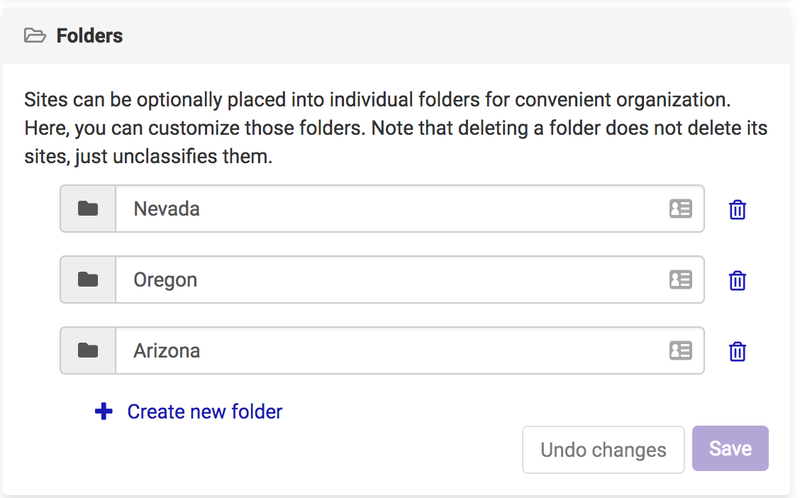 Users with write access to a shared account can now modify its categories, filters, folders, and crawl options in Settings. Downloaded spreadsheets now fully reflect any search options used on the dashboard or sites views. In all version list dropdowns, checkmarks now indicate whether the version has been viewed yet. The dashboard and site views now support filtering by whether the last version has been viewed, whether there was an error, and several other conditions. Searching on the dashboard and site views has been simplified. Deep Dive Duck is now live! Check it out: it's our dead-easy web intelligence product for monitoring competitors. You can now view the e-mail history for your account, and past monitoring reports are now archived and can be viewed. Information about DNS failures is now included in monitoring reports. Hope you like our new front-end design! After swapping from Angular to React, we decided it was time for a bit of a design refresh. Expect more tweaks and changes in the coming weeks. Downloadable Excel files of monitored pages now includes a column with a link to the last captured version. All old Angular.js code has been replaced with React.js. Expect a lot more work on our front-end stack to better deliver change monitoring results to you! Notification e-mails now include live links to tracked pages. 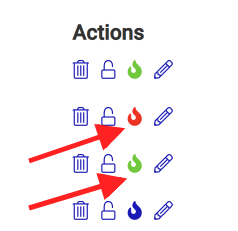 Beacons now appear next to sites and folders to indicate their pages require action or have resolved issues. In filter settings, there is now an option to ignore page crawls on a site if the filters do not match anything. This can be used to disregard versions of pages that, for example, temporarily are out of service or fail to load. Versions can be marked with a "beacon" to indicate that action is needed or that issues are resolved. The dashboard and site views will indicate for each page if any versions require action (even if there are newer versions), or if all versions are marked resolved. This is a great way to coordinate work with team-mates, and indicate that follow-up is needed on a specific captured version. Users viewing another account can control per-category notifications from that account in a Settings page. Instant alerts for pages with a "custom title" will now use it instead of the URL in the e-mail subject line. Notes and beacons can be added to versions from the comparison and version viewers. You can now optionally turn off sync scrolling on a comparison-by-comparison basis. Oh, and take a look at our snazzy redesign for the top part of our comparison and version viewers. UI redesign of key pages. We've reworked the links on our dashboard and site view, as well as the "version viewed" check mark. There are a lot of options here for power users. Mouseover the links for helpful tooltips. 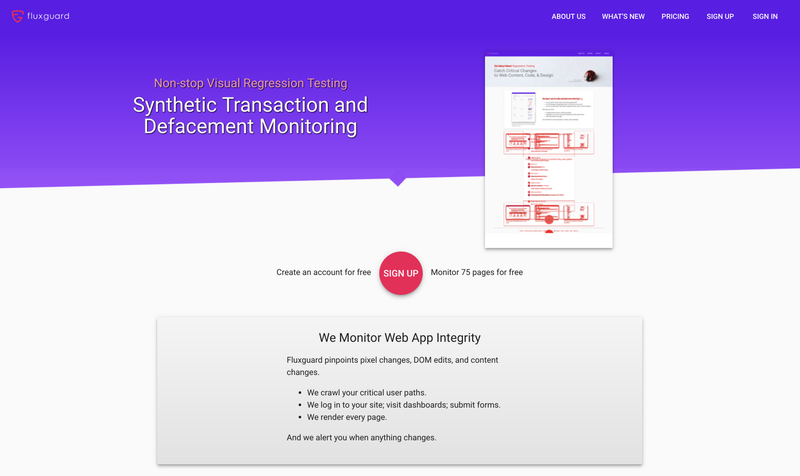 We've removed the "hover effect" on our dashboard, site view, and page view. We think that the web has matured to the point that this visual clutter of rows is no longer really necessary. Let us know if you disagree! For customers using our new site folders feature, we now offer both a "flat" and a "foldered" view on the dashboard. Notes for the most recent version are now shown with an icon and tooltip on the dashboard, the site view, and the all-sites view. The history of a page's versions can now be downloaded as a spreadsheet. Sites can be collapsed and expanded on the foldered view. Summary e-mails now include icons to indicate if the last version was viewed and if it has notes, similar to the dashboard. If you've setup an "alternative title" for any site, we now use this in summary emails, versus the non-alt title. The ability to lock a site has been removed. This feature was rarely used and confusing for customers, and added needless complexity. The search filter by category was not colored properly on some web browsers. Each option should now match the category color on all modern browsers. We now support putting sites into folders. You can create as many folder as you want in Settings, and sort your sites into them. We're excited about this new feature and look forward to your feedback! More detailed statistics on the dashboard of changes over various time periods. Ability to apply default filters (from settings) to all existing sites. Categories can be added or removed from the page view. Soft-launch of Fluxguard, our QA automation product. If you're looking for a solution for monitoring of your own digital assets, Fluxguard may be for you. Check marks on the site view and dashboard now indicate when the most recently found version has been viewed. 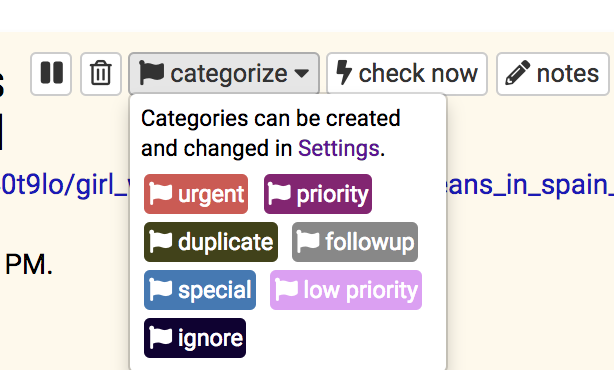 The color selector for categories is more user-friendly. 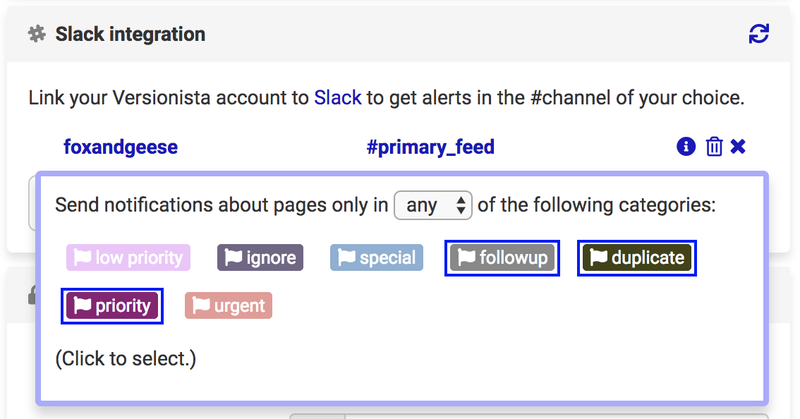 Slack notifications can now be filtered by categories. We have enabled synchronized scrolling between the comparison frames for easier, well, comparisons. Some slight design changes to improve mobile experience. Also, some color changes. Notes you add to pages are searchable on the dashboard, site view, and all pages views. We're including simple images from now on in key What's New feature updates. Cool. You can now increase the frequency of summary e-mails to three times per day (up from once per day as a maximum frequency). We now slowly remove newly found links (those we've found for you, but you've not chosen to monitor) after several weeks. This is because, without action on your behalf, these links are no longer "new" and may not actually exist. This frees up more space for Versionista to find and propose new links for you to monitor. Better Slack error handling: we give some leeway to Slack's sometimes over-abundant error conditions before disabling any Slack alert integration. On the dashboard, site view, and all pages view, you can now limit your search to only include broken links. We upgraded all our servers to protect against the recently disclosed security flaws in Intel chips. Site-wide CSS filters can be overridden on individual pages. We improved multiseat "edit" capabilities: remember, this feature allows Gold and above subscribers to add other users to view or edit an account on their behalf. Edit capability lets customers perform most tasks on behalf of the granter, but not all (notably, edit users cannot adjust account settings or subscriptions). In settings you can now opt to choose to include newly found links in e-mail summaries. By default, we don't do this: instead, we will just tell you that we found X number of new links, but we won't list them. (You can of course click to view the monitored site on our dashboard and review them there.) This option will include all of the newly found links in your summary e-mails: note, your summaries could get a long longer! Atop each site view (and all pages view), we include a handy filter/sort search capability. You can, for example, choose to search among all pages in a certain category. And, now, you can choose to search (or simply view exclusively) pages that resulted in an error (e.g., 404, 503, and so on). We fixed a bug in the all pages view that limited your ability to search for specific sites via the URL drop-down option. You can now do this. Yay! Handle "double slash" URLs elegantly. Not all of the web is uniform, and we found several sites constructing URLs with double slashes for some reason (e.g., http://example.com//directory//page.html). These are now handled appropriately. "Mailto" links are ignored (versus proposed as a newly found URL that can be monitored). From the bottom of the dashboard, you can now add custom titles (along with the URLs, of course) to bulk monitor. This gives you better workflow flexibility when initially configuring Versionista for monitoring pages that you might be importing from other applications or processes. Our configurable e-mail summaries are a core feature of Versionista. We know that many customers use these as the primary means of interacting with the change sets that we generate. As such, we now offer an option, off by default, to send summary e-mails even if no changes have been detected. You can turn this on in Settings. We offer a multitude of crawl options to support the variety of customer use cases for Versionista. Now, you can also choose to crawl once every 30 days, allowing you to monitor content just once per month. This is often sufficient (and, in many cases, preferable, to avoid too many false positives) for customers who ultimately consume changes on a monthly basis (e.g., a monthly tracking report). Major slate of bug fixes and back-end technology improvements complete. The "download all" URLs as Excel/CSV is frequently used, and so we're always looking to improve this functionality. A small change we recently made is non-inclusion of unused columns in the download. Better internal error monitoring: if you ever get an Internal Server Error or other problem, we get an e-mail alert with details of what happened! Custom title, if present, is now included in downloaded spreadsheets. Fix bug in filtered source comparison type related to Unicode display. New filter: if you select to ignore HTML changes, we offer an exemption for link changes. This allows you to monitor changes to internal and external links from a page, for example, while still ignore all other HTML changes. Configure this on a per site basis in filters. Show/hide monitored pages in site view. Why? So you can isolate, for example, paused or newly found pages without scrolling through many pages. Optionally monitor third-party links for any monitored site: perfect to ensure that content you link to stays online and relevant. For Gold and above subscribers, you can now grant edit and view access to other users! "Apply to all" option now available for default filters in Settings. Fix bug related to dashboard pagination and "total page count." Finer-grained opt-out controls for "instant alert" e-mails. "Check all" functionality, as well as newly added pages, now use a new queuing mechanism to better orchestrate their crawl schedules. New caching layer for images/etc for dynamic crawls. We now support IPv6 crawling! Fix issues with site searches. Major backend rework of crawling infrastructure to better scale during burst scenarios. Improvements in the render dynamic elements option (and we've moved it out of Beta, too). Failing links (e.g., 404 page not found) are now referenced in summary emails. Fixed bug with URL inclusions/exclusions in Filters not properly saving in some situations. We now flag failing links (e.g., 404 Not Found) for you on the dashboard, site view, and other places. A cool "back-and-forth" slider in the comparison view lets you visually compare two overlaid screenshots to uncover what has been added and removed. We now color code instant email alerts to show you added and removed content directly in the emails we send you. We removed PayPal as a subscription option. The version viewer now has a drop-down allowing you to jump to other versions. View all pages across all sites. This helpful feature lets customers who monitor many pages across many sites have a combined view that spans all of them. You can now choose to receive "filtered source" in instant e-mail alerts. This will use your filters to exclude code/content that you aren't interested in, and send you only changes not excluded by filters. Turn this option on in Settings. Upgraded app compute capacity for zippier customer interactions with our front-end. Search option on Dashboard now lets you search across all sites and pages. We now record date when you first view a version: this is helpful for customers who need to audit when certain versions were first viewed. Find this date on any "page view" and look for the eye icon next to each archived version. In Settings, you can now choose for instant e-mail alerts to include HTML changes (versus just content changes). 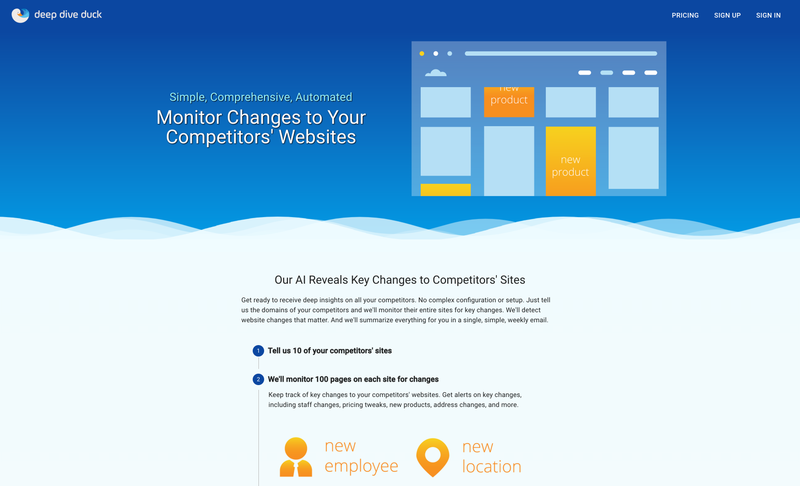 Useful for SEOs monitoring competitor/etc landing page changes. Versionista now supports page-level crawl schedules, versus only site-level schedules. This allows you to crawl certain pages of a site more frequently than the rest of the site. Click into any monitored page and expand "Crawl" options to set. "Print view" now available on screenshot comparison and version views. Date page added is now included in CSV downloads. Clean-up of naming in comparison and version viewer drop-downs for better consistency. Comparison viewing type is "sticky": when you view a new comparison, we will use the view type you last used (e.g., screenshots, side-by-side, etc). If you're a paying subscriber (using Stripe or PayPal), you can now set an arbitrary text input that will be included on downloadable invoices. You can tune it in the Subscribe page. In daily/weekly e-mail summaries, you can now choose to include differences that span the time period, or those that might have occurred within the time period (but were reverted). See in Settings. Multiseat! Gold and above subscribers can now grant other users viewing rights of their account. Setup in Settings. We now include any assigned categories in CSV downloads. New comparison type: "source: filtered" will use any existing filters you have to remove any matching code/content and show you only content (and highlighted changes) that's of interest to you. Custom site/page names, if present, are included in e-mail alerts. Better structuring and more data in summary e-mails, including grouping by category (if present), diff links, and more. Site/page/version notes now support Unicode. Column sorting in site view is changed to be more intuitive. You can now customize site titles that will be used in e-mail summaries, dashboards, and so on instead of the actual site name. We now paginate the dashboard for customers with a large number of monitored sites. We also dded a "view all" escape for customers who do want to view all at once. We've improved heuristics to detect dates and times for our "ignore date changes" filter. 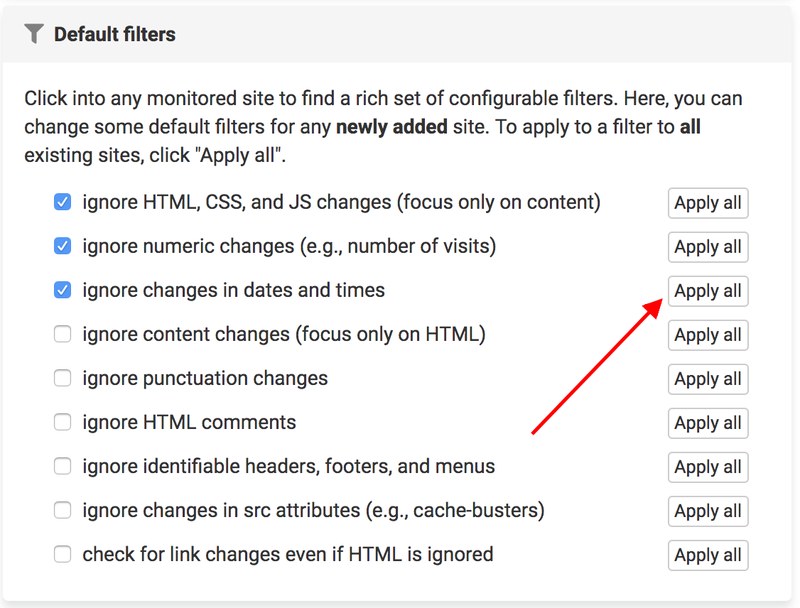 We've added a page explaining how to configure filters to ignore certain areas of monitored pages. Fixed a bug that was preventing deletion of pages in site view. We removed client-side sorting and converted to server-side to better handle customers with many monitored sites and pages. New IP based comparison viewer. 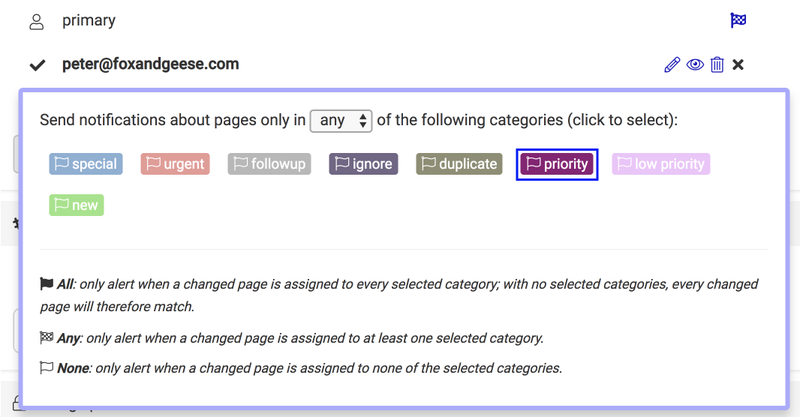 "Skip keywords" feature lets you specify, in site filters, keywords which, if found on the page, will suppress new versions. For example, add "under construction" here and any pages with that string will not be archived. E-mailed summaries now include briefly "public" comparison links. This feature is added to allow recipients of the e-mails – who may not always have access to the underlying account – the ability to easily view the comparisons. Page notes are now included in CSV downloads. Better auto-scaling of app machines when we have traffic spikes. More schedule options available in e-mail summaries. Configure in Settings. E-mail summaries are now turned on by default. We now support adding optional cookies to any crawled page. Configure on the site level. Disentangled spidering and rendering so they are independent of each other: queues now orchestrate their interaction. Turn monitored PDFs into HTML for better comparison viewing. We now include screenshots (taken from a headless browser) whenever a new version is found. We offer rich client-side highlighting of changes between the two versions. We have added new checkbox filter options to ignore headers, footers, and sidebars. : these are useful to focus only on the core body content of a page. Version count on site page now links directly to the latest comparison. Classify customer use cases to better understand and develop our feature road map. User agent is now recorded for each crawled version. 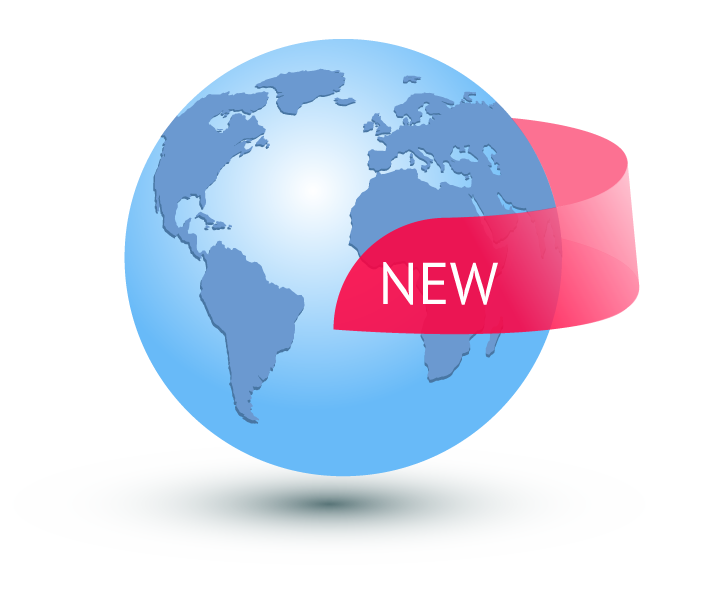 Ability to view raw HTML on version viewer is now available. Better formatting (indentations/etc) of HTML views in comparison and version views. We have back-filled version titles and indicate when they change in page view. We now track page title changes. We've added screenshot thumbnails on mouse over of any version link. We now ignore inlined JS/CSS when the "ignore HTML" filter is selected. We've restored the "since last login" and "reset" links after customer complaints. Customers can now delete their accounts (sniff). More longer range crawl schedules now available (e.g., every 5 days). Code is stripped from email instant alerts. Create an account to receive change alerts and add teammates. Prefer not to create an account right now? Contact us at account@versionista.com for a demo & discussion. We can help! Also, check out Deep Dive Duck, our new product dedicated exclusively for competitive analysis. Perfect! We've designed our feature set to expertly monitor and alert changes to key government, corporate, and other PDFs and HTML documents. Great! Versionista is expertly suited to provide web change intelligence for buy-side and sell-side analysts, and beyond. Get up-to-the-minute change alerts for a variety of key digital assets. We can help! Also, check out Fluxguard, our new product dedicated exclusively for IT teams. No problem! Versionista supplements your SERP tracking by revealing key on-page ranking factor changes for your competitors, clients, and more. Perfect! Versionista captures, archives, and provides change alerts for all digital assets to support litigation, compliance, and other legal matters. Great! Versionista provides non-stop capturing and archiving of all public digital assets of your organization or third parties. By creating an account, you agree to our End-User License Agreement.